The Demon FlexForce Pro Snowboard Padded Shorts are a great short for riders wanting protection on the mountain or the hill. They have loads of features that keep you protected and riding. There is also a separate Womens version too! The pads are all removable for customisation and also for washing the outer shorts. 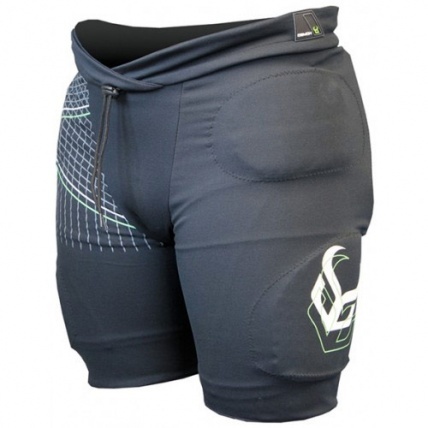 The shorts themselves are made of lycra and mesh for good venting and staying in place when you need it! The tailbone pad is a good large width and has a plastic inner layer to spread the load out if you have a hard impact. General comfortable padded shorts for all boardsports especially snowboarding and mountainboarding. Insurance for your next trick going wrong protect your arse!